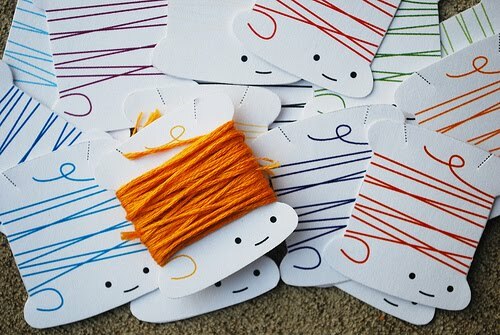 Cute gift tags can be found over at "orange you lucky". Nicole from Nickles Pickles has a Bento Box tutorial she is sharing and she also has it in PDF form which makes it easy to save and make later. 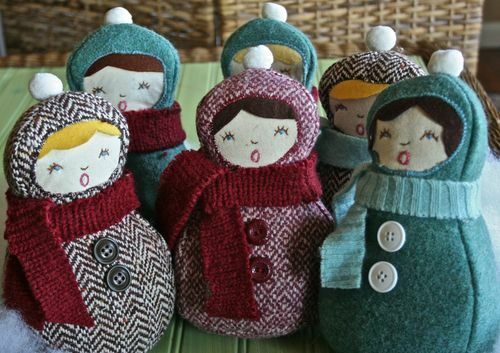 What a sweet way to brighten your winter or Christmas up with these cute Winder Caroler softies that Gingercake has been kind enough to share. 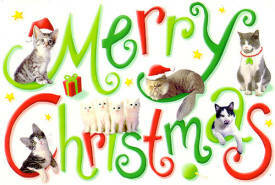 Lots and lots of Christmas Tags can be found here....and then there are lots and lots more other tags there too. 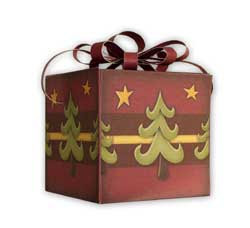 Make your own gift boxes using your favourite patterened card stock/paper. 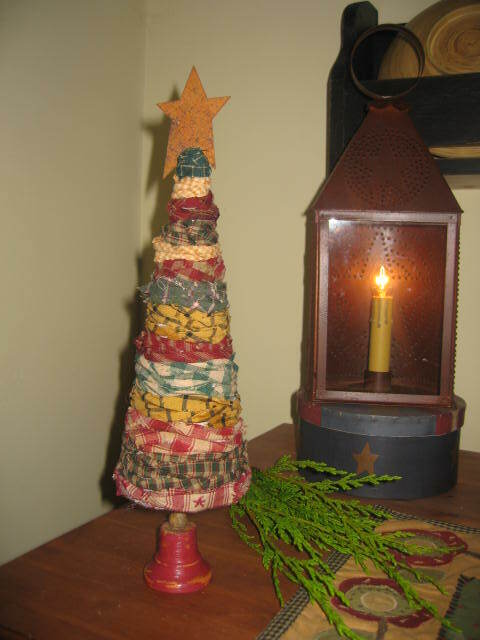 For all us prim lovers take a look at this nifty prim Christmas tree made from fabric. What an easy way to whip up a prim Christmas Tree. Thank you to Preferably Prim for this tutorial. 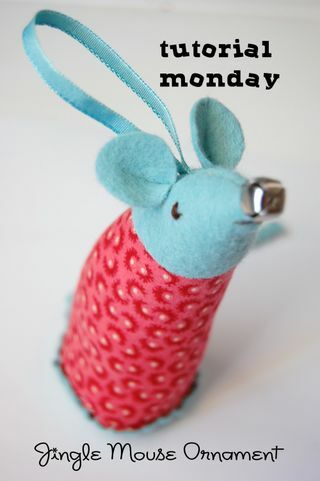 Jump over to Pimp Stitch for a tutorial for a Jingle Mouse Ornament. 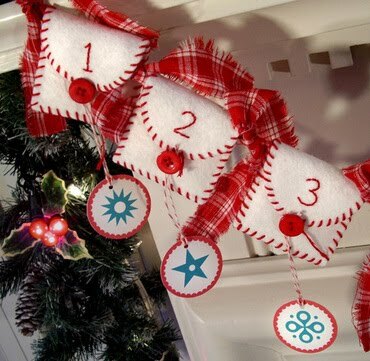 Following this tutorial over at Jolly Allsorts you can make this Advent Calender for the kids or the big kid at heart this Christmas. Who needs a real Christmas tree when you can have one of these....whip up a Lolly Tree. 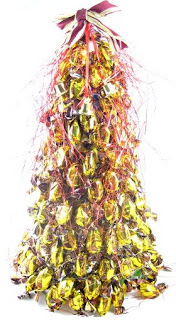 Use your favourite lollies or make one for somebody special with thier favourite lollies. 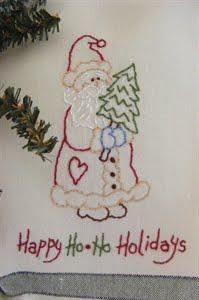 Bird Brain Designs have another free stitchery for Christmas called Happy HO HO Holidays to grab. 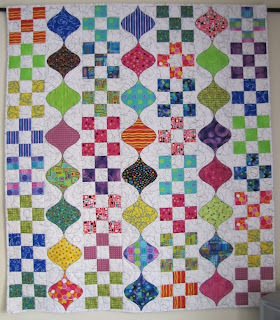 Another good looking quilt over at the Moda Bake Shop called the Ritzy Cracker Quilt. Using two charm packs and some solid this is yet another one to add to my never ending list. 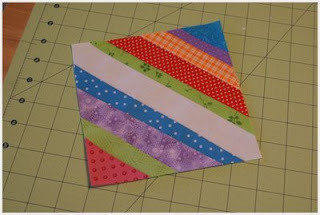 Innocentia has tutorial for a nifty looking triangular pouch. 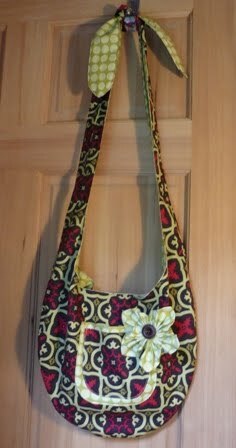 A great little pouch to carry all sorts of things in. My Owl Barn has a terrific Owl 2001 Calender that you can personalise with different owls for each month of the year....fantastic idea to pick and choose which owl you want on which month. 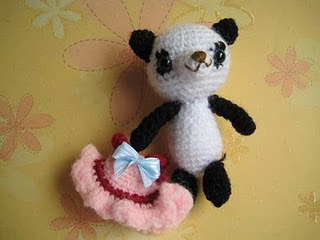 Jenny and Teddy Creations is sharing a pattern for her cute Panda Amigurumi if you are so talented to make one....so cute. Okay so everybody who knows me knows I don't really like cooking...but you know the first thing my mum taught me to cook was scones using a Margaret Fulton cookbook. I still have that "old" book even though nearly every page has fallen apart. I can't bear to part with it. But I couldn't pass these by....take a look at these great looking scones over at Fat Mum Slim....LEMONADE SCONES...they sound soooooo good. Ottobre has two lovely little purses with a zipper to share with everybody. 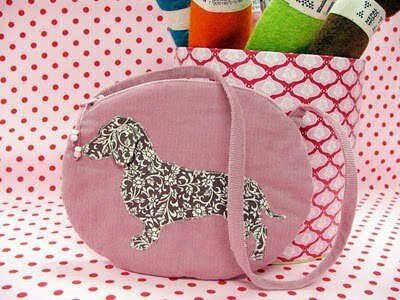 One has a cute applique dachshund dog on it and another it just using print fabric. 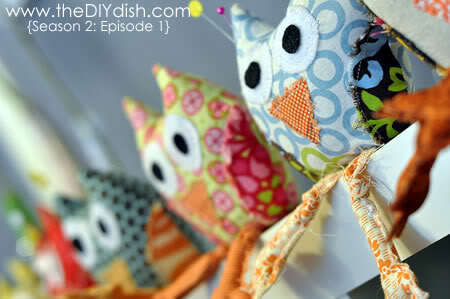 Who can go by this cute Owl Pincushion that DIYDish are offering up. I know I couldn't. And you don't have to use it as a pincushion if you don't want to. 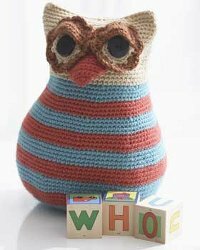 FaveCrafts has a freebie owl pattern you clever peoples that crochet could just whip up....so hootin' cute!! 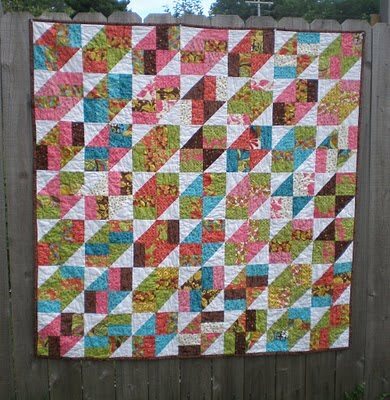 Free Quilt Patterns has some freebies to grab...in particular I love this Vintage Turnovers Quilt made by Kristin Roylance. 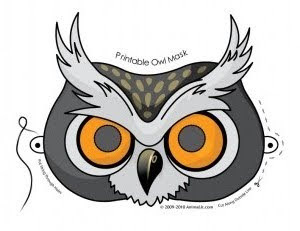 Animal Jr are sharing some fantastic Halloween masks and colouring pages....of course I love the owl best. Allie has a cute birdie in a cage stitchery to grab.....really sweet it is. 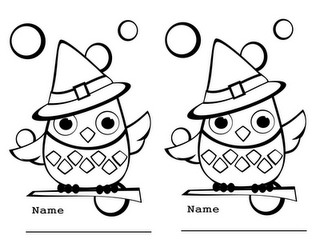 Tricia-Rennea has a cute Halloween owl graphic you can use for colouring or even stitching. 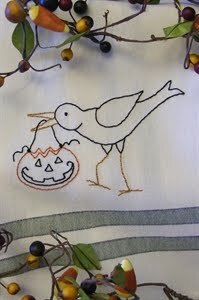 Bird Brain Designs is sharing a cute Halloween stitchery they have called Trick or Treat Crow. 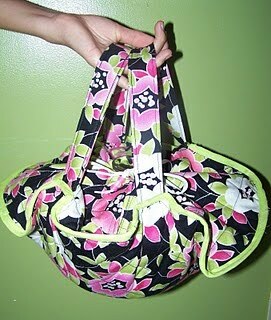 Download your free Amy Butler Blossom Bag PDF pattern here. 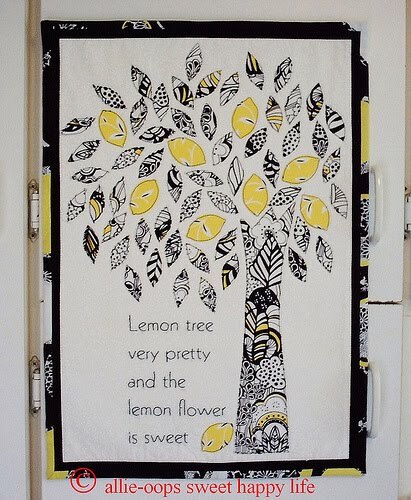 Allie is sharing a fantastic lemon tree mini quilt design. Just another to add to the never ending list of great freebies out in blogland. Thanks for sharing Allie. 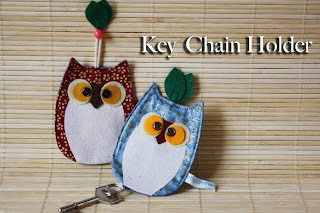 Craft Passion is sharing a tutorial for the cutest Owl Key Chain Holder. Any owl lover would love to have one! 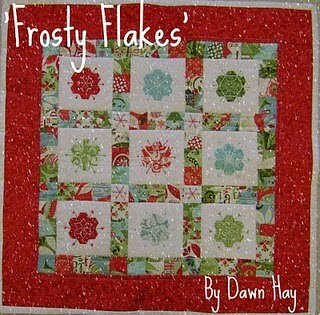 The talented Dawn Hay has a cute mini quilt called Frosty Flakes using mini hexagons. She is putting up instructions weekly. At the moment she has four blocks up. Jump over to grab them and get started. 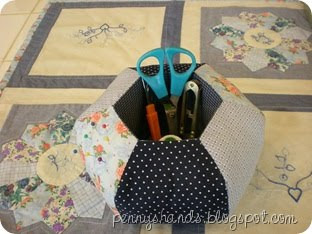 Penny has a great hexagon sewing caddy tutorial she is sharing with everybody. Quick jump over and take a look. What a fantastic project for those of us who enjoy some hand sewing. Pink Penguin has a great lunch bag for us to make. 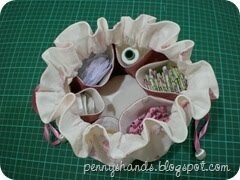 Penny has made a great tutorial for a nifty little sewing drawstring bag. Take a look at this terrific idea. 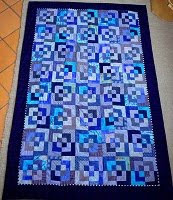 I know these have been going around for a while now but I still love the look of them and plan on making one some day. Maybe sooner rather than later. 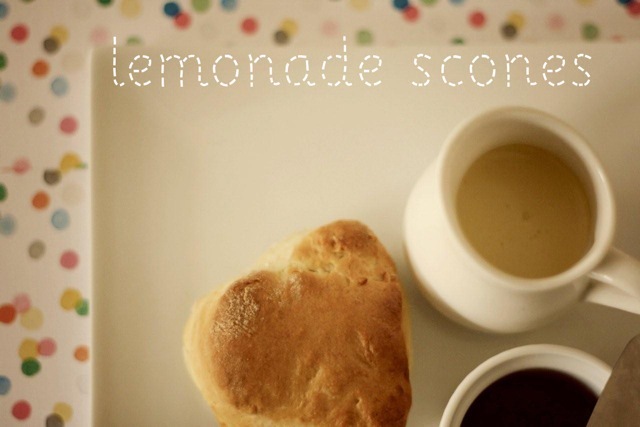 Anyway, there are a few tutorials around blogland showing us how to. 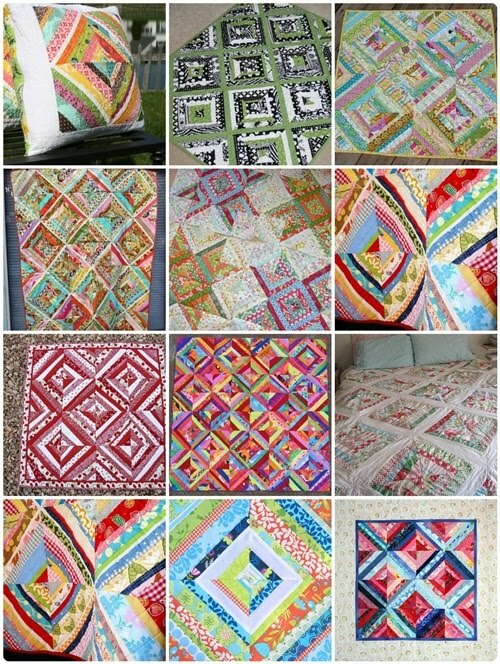 There are some fantastic video clips on this website showing lots of great quilt blocks. 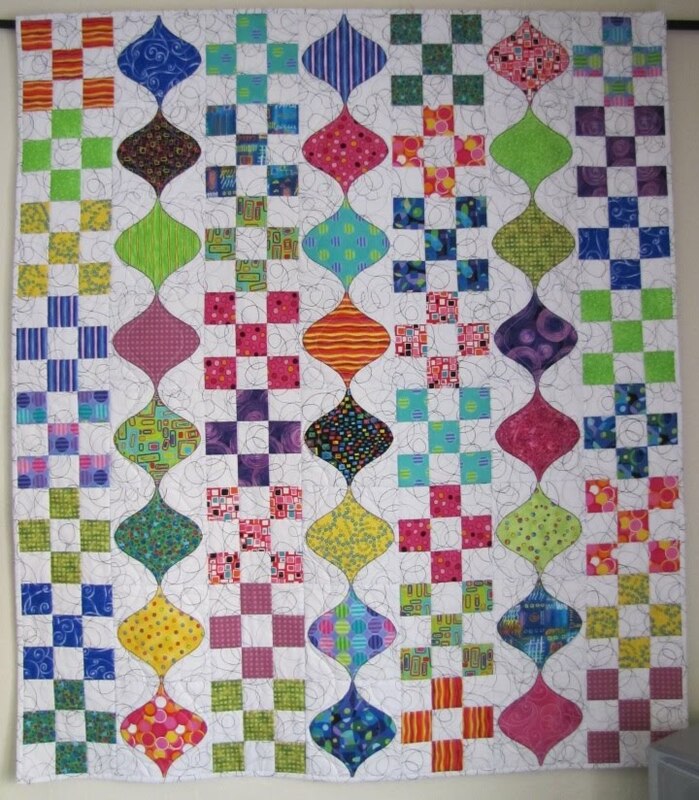 I love the use of pre-cuts to make a quilt so much easier and quicker. 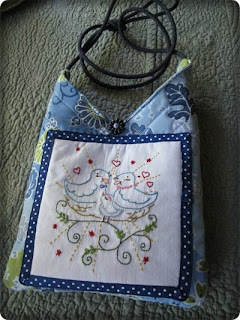 Julia is sharing how she made this cute selvedge purse tutorial with us. Yet another thing to add to my ever growing list. I have been saving selvedges for "something"...never knowing what that something would be...so this is going to be something to try very soon. 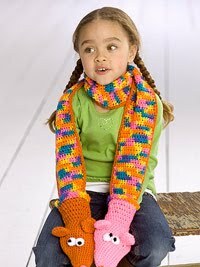 How cute is this puppet scarf...really cute I think....I don't know how many times I say I have to learn to crochet more than a granny square...one day I will take the time and do it...but for all you clever people that can crochet here is a cute one to make for the kids. 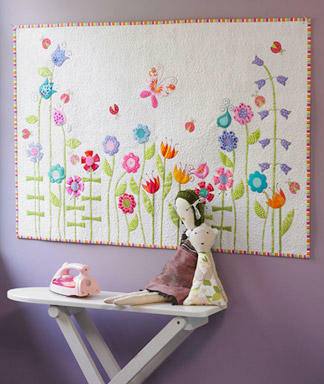 Womans Day site have a free applique quilt that would look great on any girls wall...big girl or small girls...very fresh looking with flowers, birds and butterflies. 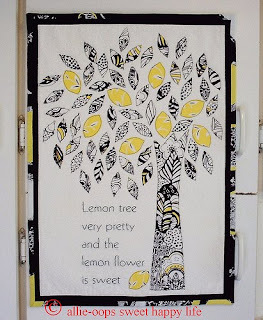 Kerry from VeryKerryBerry is sharing a great tutorial to make circle quilt blocks without needle turn or applique....I really like this idea of making a quilt with these blocks as I am not into needle turn and applique these days. 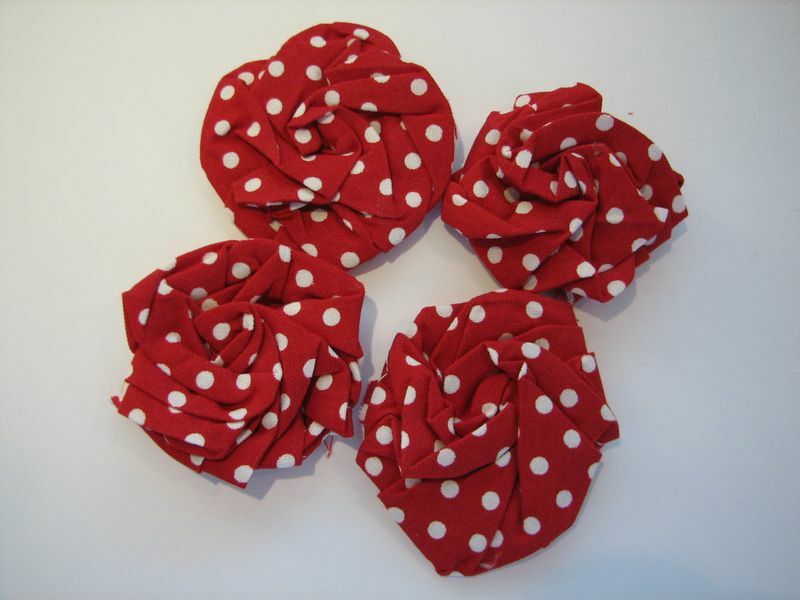 Kerry also has some other tutorials on her side bar to have a look at too. Wild Olive is sharing some cute printable thread bobbins for the stitching enthusiast.....how cute would all your embroidery threads look wrapped around these!! How exciting......Today you can grab my Flower Power sewing accessories that I put together for the Homespun website. 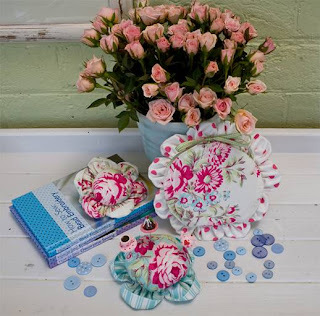 Flower Power is a cute set that I put together for my favourite magazine Homespun and their website bonus projects. Jump across and grab the instructions. A desktop pinchushion, a needlecase and a wrist pincushion. 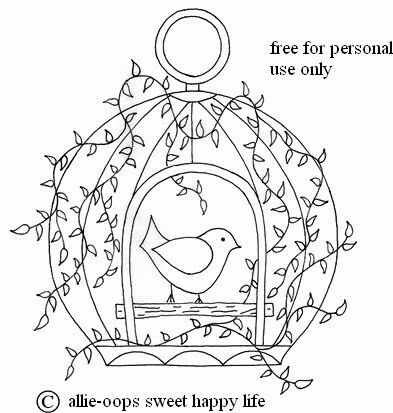 For full templates you will need to purchase the magazine even though the instructions to draw the majority of the templates are on the website. I saw these cathedral windows over at Penny's blog and loved them. Penny used Tammy's simple way to make Cathedral Windows . 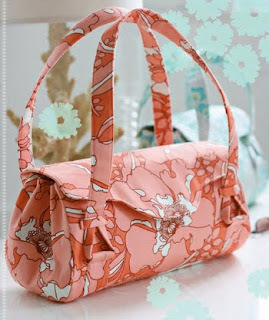 Which seem quicker the way she sews most of it with the sewing machine. I like this idea. 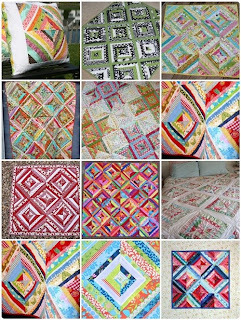 Alamosa Quilter has a cute freebie quilt pattern up on her blog to share. This would be a great pattern for a beginner quilter with nine patches and simple applique shapes....or for the quilter like me who like simple and quick things to get done easily. Tracy from Thimbelina has a tutorial to make a pouch for you camera or Ipod. Looks like a nice one to whip up easily enough. Blueprint Crafts have a simple method to make coasters using tiles and paper....or I am thinking I could use fabric. 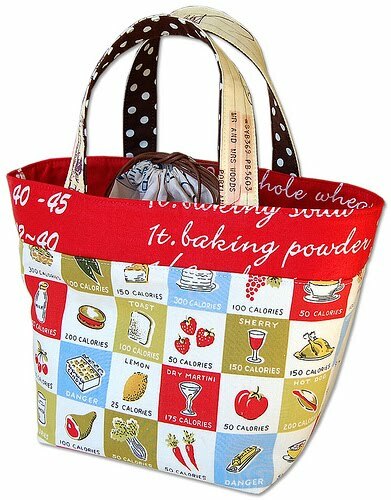 Elisa Beth from Dixie Doodles is sharing a tutorial to make her Cozy Toter for your casserole dishes. Very fashionable for your favourite casserole dish.